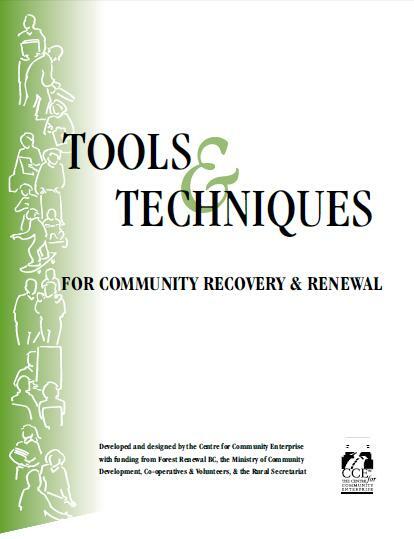 Tools and Techniques for Community Recovery and Renewal, a companion to the Community Resilience Manual that includes specific tried and true methods for improving economic well-being as well as further contacts, tools and resources. Altogether there are over 60 different methods in areas such as: planning, research and advocacy, building human resources, creating and retaining jobs and addressing financial gaps. Within each of these sub-sections are a number of tools and techniques including definitions, benefits and challenges and practical steps. Tools and Techniques is available free in downloadable PDF form. Print copies can also be purchased through the site.